Novation has big plans for Frankfurt. 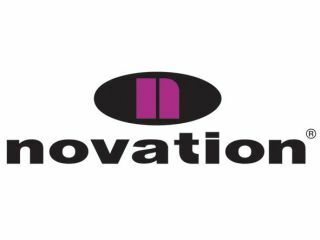 Novation has thrown down the gauntlet to its rivals by claiming that it'll launch "the biggest music-making product of Musikmesse 2009". This massive event will take place in Frankfurt from 1 to 4 April - it's an annual exhibition that rivals the Winter NAMM Show for the title of 'biggest music equipment trade fair in the world'. Novation hasn't revealed any more details about its announcement; we assume that when it says "biggest" it's referring to potential impact rather than physical size. What the company has confirmed, though, is that it'll make an announcement at 11.45am on the first day of the show. MusicRadar will be reporting live from Musikmesse - check back soon for specific details of our extensive coverage. Rest assured, though, that we'll let you know all about Novation's plans as soon as they've been made public.